We had a great day on Friday. 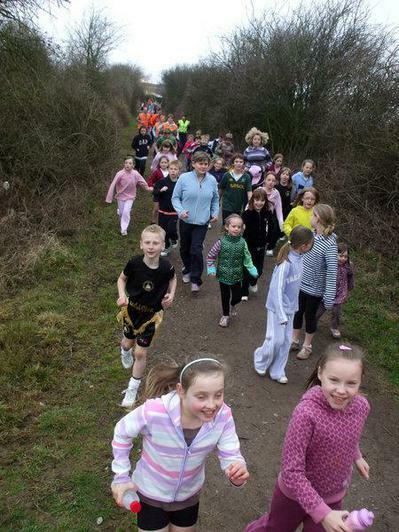 The turn out for the Sport Relief Mile was excellent. Children and adults ran together and it was great to see the smiles of achievement as everyone crossed the finish line. The planned activities for the afternoon were slightly scuppered by the weather but we all improvised and dancing, indoor hoola hooping, table tennis and table rugby were enjoyed. Miss Milree's tiddlywinks event was particularly well received. We raised just over £200. Well Done to everyone.